Saracen Bay Waterfall in Koh Rong Samloem is a spectacular waterfall at the far side of the bay near the main pier. The pool at the bottom of the waterfall is perfect for cooling off on a scorching Cambodian day. Pick up a cold refreshing beer from the bar and restaurant nearby while taking in the tranquil scenery. Indulge in the delights of Khmer cuisine with a selection of different curries and platters of appetisers. In the middle of peak season the waterfalls tend to dry up so it’s best to choose your dates outside this time if you wish to see the waterfalls in full flow. Koh Rong Samloem is very off the beaten track and is not connected to the main electricity grid. Every resort is powered by its own diesel or gasoline generator. There are no shops or ATMs, so remember to bring enough cash. Although the infrastructure is pretty basic, it’s very beautiful with natural, untouched scenery that make it the perfect place for a total recharge. 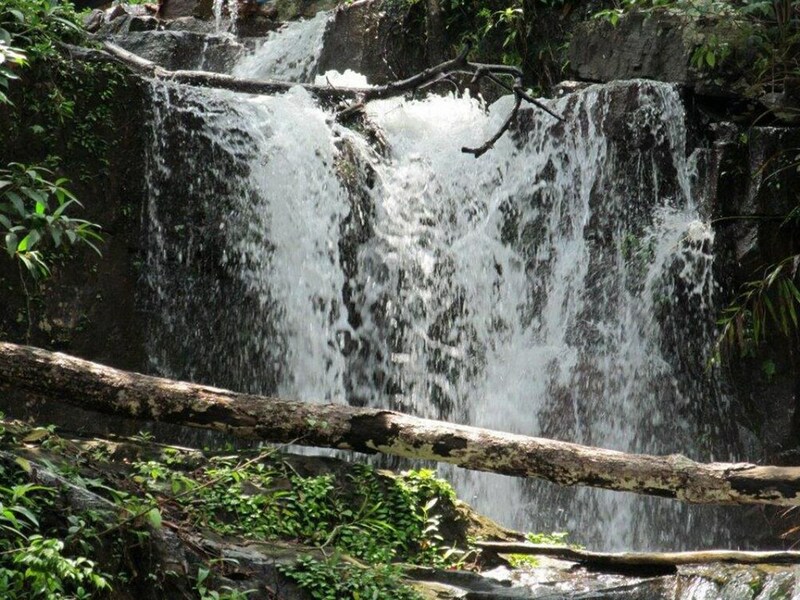 While you visit, be sure to hike to the waterfalls. The easiest way to the waterfalls is to walk to the very north of Saracen Bay to Freedom Bungalows, behind the bungalows you will find the path up to the waterfall.